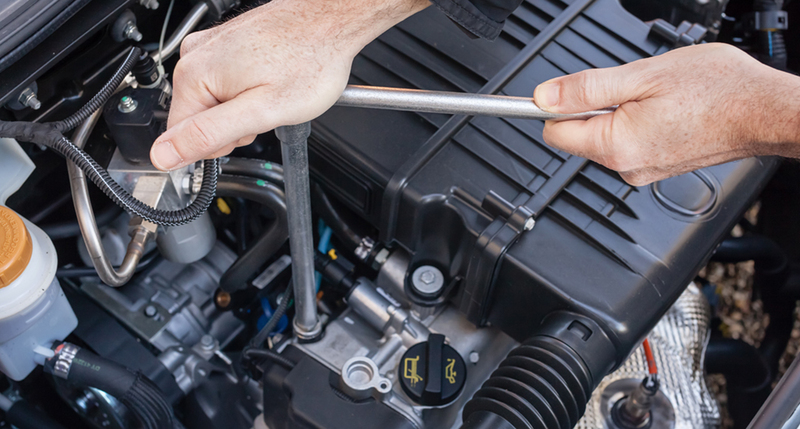 When you've invested valuable time and money into finding just the right vehicle for your needs and desires, it's imperative to maintain the upkeep of your car or truck on a regular basis. After all, its life and longevity are reliant on it. And, at the Bob Moore Parts Center & Auto Repair Shop, we know you have options. Come in to our Subaru dealership or visit online and explore our extensive selection of genuine Subaru parts. We carry everything from brake pads and air filters to alternators and suspension parts. We also offer a wide range of authentic Subaru accessories. Personalize your car or SUV with spoilers, custom pedals and shift knobs, floor mats and more. Sure, you could give it a go on your own. But, why put yourself through the time and hassle of changing oil or checking other vital fluids yourself when you could easily visit the trusted Oklahoma City auto repair team at Bob Moore Subaru? Our service team has made a commitment to excellence by always offering friendly customer service and treating every customer with paramount concern. Meanwhile, our technicians enjoy the challenge that comes with every service job. Take the guessing game out of the equation and get back on the road with a feeling of safety and satisfaction. We also understand you have countless options for the service and repair of your vehicle. Our understanding of that is precisely what has driven us to the elevated heights of customer satisfaction we've achieved. With the attention to detail and personal care provided to every vehicle by the trusted professionals at the Bob Moore Subaru Service & Auto Repair Shop, there really is only one "best" option. At Bob Moore Subaru, you get the expertise of our Factory Trained Teams, taught by the most advanced Subaru technical instructors. Our professionals are equipped with Specialized Tools and Genuine Subaru Parts to help ensure accurate diagnosis and repair. Using OEM parts is the best way to ensure your Subaru performance is at its peak, but authentic components are not always easy to find for other service centers. By providing our own comprehensive Subaru parts department, we have easy access to a large selection of components, while other service centers might have to delay service while they search for the same parts. In addition, Bob Moore Subaru provides a free Multi-Point Inspection with each service to help keep your vehicle's safety, quality and integrity running smooth. Whether it's a new Subaru Outback, Ascent, Forester, BRZ, Legacy, Impreza, WRX or another gently used car in Oklahoma City, our focus is solely on your vehicle and your satisfaction. We take the steps necessary to make it look its best and perform optimally for the long haul. 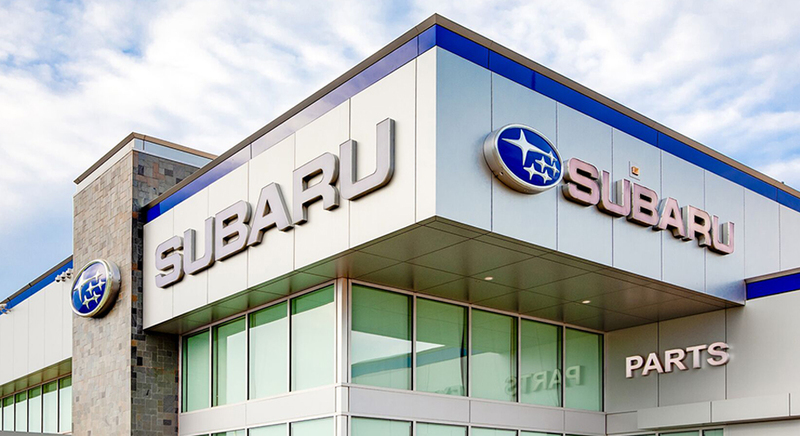 Located at 13010 N. Broadway Extension in Oklahoma City, please contact our Subaru dealership's service department today and experience the difference we can make with your vehicle. We also serve Edmond, Bethany, El Reno and other areas throughout Oklahoma County. Your time is valuable. Keep as much of it to yourself as you can. Rather than trying to stay on top of your vehicle's health and upkeep, count on the trained professionals at the Bob Moore Subaru Service & Auto Repair Shop for all of your Subaru parts and service needs. After all, it's what we do. And, we do it with you in mind. That's what separates us from the other choices. Also, be sure to ask about our special auto repair financing program. Contact your local Oklahoma City car dealership today and let Bob Moore Subaru help keep you on the road, not under the hood.